GeneCentric Therapeutics is applying proprietary technology to identify drug responder populations that enable the development of precision cancer drugs while improving patient outcomes. Our initial approach applies our Cancer Subtype Platform (CSP®) to parse the complexity of tumor biology and generate genomic signatures. This approach yields high-resolution cancer subtypes with the potential to function as universal biomarkers for susceptibility to immune-based, targeted and other therapies. In commercializing our technology through strategic collaborations with pharmaceutical and biotech companies, we are defining responder populations based on subtypes throughout the drug development cycle. Dr. Milburn serves as CEO and President at GeneCentric, joining the company in 2018 as Chief Scientific Officer. Prior to joining GeneCentric, Dr. Milburn was the CSO at Metabolon since 2005, leading the development and growth of the company’s successful research and development organization. In addition to overseeing R&D, he played an integral role in establishing high value scientific and commercial partnerships. Prior to Metabolon, he served as Senior Vice President of Research and Corporate Development at Sirtris Pharmaceuticals and Senior Vice President of Research at Plexxikon. He also held senior research positions at Structural Genomix (VP of Structural Biology); and GlaxoWellcome (Department Head of Structural Chemistry). Dr. Milburn received his PhD in Biophysical Chemistry from the University of California at Berkeley and was a post-doctoral research fellow at Harvard Medical School. 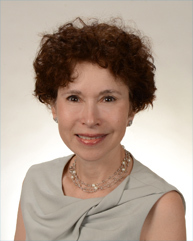 Dr. Lai-Goldman is a Co-Founder and Executive Chairperson of GeneCentric Therapeutics. 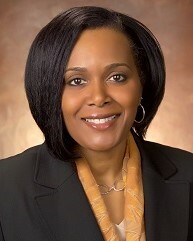 She served as CEO and President from the company’s founding in 2011 through 2018. Dr. Lai-Goldman spent more than 18 years at Laboratory Corporation of America, Holdings (LabCorp), the last 10 years as Executive Vice President, Chief Medical Officer and Chief Scientific Officer. She served on LabCorp’s Executive and Management Committees, with strategic and operations responsibilities for 3 major genomic laboratories comprising more than 700 people. During her tenure at the Company, she led all clinical, scientific and medical activities, including the introduction of more than 400 clinical assays. Her experience includes the development of partnerships, licensing, and acquisitions. After leaving LabCorp, Dr. Lai-Goldman became a Venture Partner at Hatteras Venture Partners and is the managing partner of Personalized Science, LLC, a consulting company founded to assist customers achieve successful adoption of innovative diagnostics. Dr. Lai-Goldman received her BS from the University of Pennsylvania and MD from Columbia University College of Physicians and Surgeons. Dr. Lai-Goldman is board-certified in anatomic and clinical pathology. Mr. Walter Capone is Chief Business Officer of GeneCentric Therapeutics. He most recently served as CEO and President of the Multiple Myeloma Research Foundation (MMRF) and the Multiple Myeloma Research Consortium (MMRC), advancing industry, academic research, government agency and patient community collaborations to drive breakthroughs for patients. The launch of the landmark CoMMpassSM Study, support in advancing six new myeloma therapies to market, and expansion in innovative academic/industry partnerships were among his numerous accomplishments. 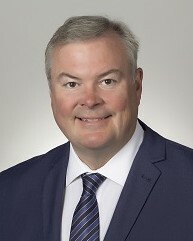 Prior to the MMRF, Walter had over 20 years of pharmaceutical and biotechnology leadership experience in Commercial Development, Operations, Finance, Marketing and Sales in the United States and internationally at Progenics Pharmaceuticals, Trimeris Inc., Triangle Pharmaceuticals, Bristol-Myers Squibb, Wyeth, Cyanamid Benelux and Lederle. In that time, he managed commercial drug product portfolios valued at over $500M; led or co-led the development, US and International launches as well as commercialization of 18 novel drugs including Fuzeon®, Emtriva®, Tequin®, Zerit®, Videx®, Maxipime® and Zosyn®; and managed over 30 other individual drug brands. Walter received his MBA from Columbia University Business School and BA from Brown University. 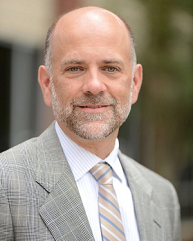 Dr. Eisner serves as Senior Vice President of Clinical & Corporate Development at GeneCentric. Previously he was a co-founder of Innocrin Therapeutics and served as Vice President of Clinical Operations and Vice President of Medical and Scientific Affairs. Prior to Innocrin, he served as Director of Product Development at Viamet Pharmaceuticals. He also was a Principal at Cato BioVentures where he held senior management positions in several portfolio companies. He also served as a Clinical Research Scientist at Insmed, Inc. Dr. Eisner received his PhD from the University of Wisconsin – Madison in Endocrinology and Physiology and conducted clinical research at Northwestern University Medical School and Brigham and Women’s Hospital. Chenyqua Shepard, is the Vice President of Finance. She also manages human resources at GeneCentric. Mrs. Shepard has over 30 years of experience in accounting and finance within various industries including pharmaceuticals, telecommunications, real estate, construction and retail/manufacturing and has more than 15 years in various leadership roles in the life sciences industry. She has been responsible for various functions including technical accounting, financial and SEC reporting, financial planning and analysis, internal controls, information technology, human resources, and has been involved in several start-ups and emerging businesses. Prior to joining GeneCentric, Mrs. Shepard was a partner with Rankin-McKenzie where she served several emerging companies as their part-time or interim Chief Financial Officer or Controller. Prior to her partnership with Rankin-McKenzie Mrs. Shepard was the Chief Financial Officer of Praelia Pharmaceuticals and the Vice President of Finance and Chief Accounting Officer at Cornerstone Therapeutics, which was later acquired by Chiesi USA. She began her experience in life sciences as a Director of Accounting and Finance with Biovail Pharmaceuticals, a Canadian pharmaceutical company, which later merged with Valeant Pharmaceuticals. She has been licensed as a certified public accountant since 1991 and began her accounting career with Deloitte Touche in 1989. She earned both her Bachelor of Science in Business Administration and Masters of Accountancy from the University of North Carolina at Chapel Hill. 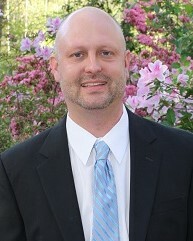 Dr. Mayhew serves as Director of Bioinformatics at GeneCentric. He specializes in developing classifiers in cancer using high-dimensional genomics data. He joined the company in 2014 after completing post-doctoral training at Duke University where he built predictive models for several cancer types using clinical and gene expression data. His prior work includes studying associations between genomic variants and complex diseases, including cystic fibrosis and Parkinson’s. Dr. Mayhew received his Doctor of Public Health in Biostatistics at the University of North Carolina at Chapel Hill. Dr. Shibata serves as Senior Bioinformatics Scientist. 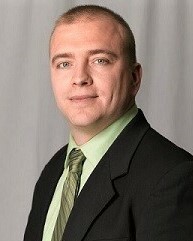 He joined GeneCentric Therapeutics in 2017 after completing his post-doctoral training at the University of North Carolina at Chapel Hill where he combined various genome-wide sequencing and experimental molecular techniques to understand the epigenetic dynamics of meiosis and disease. At GeneCentric, he oversees research analysis pipeline design, implementation and assay development. Dr. Shibata received his PhD in Genetics and Genomics from Duke University. 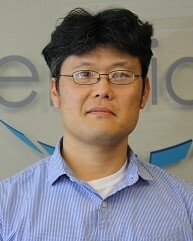 Dr. Guo serves as Senior Bioinformatics Scientist. He joined GeneCentric Therapeutics in 2019. His prior work includes pediatric cancer preclinical testing and epidemiology studies investigating associations between genomic variants and clinical phenotypes, including nicotine dependence, red blood cell hemolysis, and various blood indexes. At GeneCentric, he is responsible for statistical analyses and bioinformatics pipeline development. 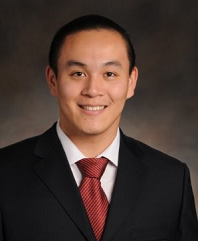 Dr. Guo received his PhD in Bioinformatics at the North Carolina State University in 2015. Josh Uronis serves as Laboratory Director of GeneCentric Therapeutics. In 2014, he completed post-doctoral training at the Duke University Institute for Genome Sciences and Policy where he utilized patient-derived human cancer explant models for the study of colorectal cancer and helped develop a six-class molecular model for subtyping colorectal cancers. Prior to this, Josh completed post-doctoral training at the University of North Carolina at Chapel Hill (UNC-CH) Center for Gastrointestinal Biology and Disease (CGIBD). There, he investigated the role of the intestinal microbiota in the development of colorectal cancer. Josh’s research efforts resulted in significant contributions to the field of colorectal cancer research, including the publication of 11 research articles in addition to oral presentations at GI ASCO and the Digestive Disease Week (DDW) Annual Symposium. Josh received his Ph.D. from UNC-CH in the Curriculum in Genetics and Molecular Biology. Dr. Levine has made significant contributions in the field of oncology in his research on the causes of cancer in both humans and animals. He was the first to discover the p53 tumour suppressor gene, which acts to protect individuals from developing cancer. Following his discovery, thousands of researchers have followed in Dr. Levine’s footsteps, seeking to focus on the p53 gene, which is the most commonly mutated gene in cancer. Dr. Levine is currently a Professor at The Simons Center for Systems Biology at the Institute for Advanced Study in Princeton and a joint professor in the Pediatrics and Biochemistry Departments at the Cancer Institute of New Jersey. He received his PhD in microbiology from the University of Pennsylvania School of Medicine. Later he was a post-doctoral fellow of the Public Health Service at the California Institute of Technology. Dr Levine also holds honorary degrees from, among other institutions, Rider University, the Weizmann Institute of Science, the University Pierre and Marie Curie in Paris and the University of Medicine and Dentistry of New Jersey. 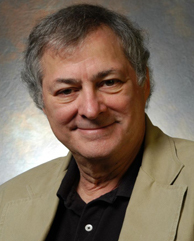 He has received many honours; most recently including the 2012 Onsager Medal, the Vallee Foundation Visiting Professorship, Harvard Medical School (2012), the Steven C. Beering Award for Advancement of Biomedical Science (2010), the American Cancer Society Medal of Honor (2009), the Kirk A. Landon-AACR Prize for Basic Cancer Research (2008), the Award for Basic Research from the Surgical Society of Oncologists (2003), the Albany Medical Center Prize in Medicine and Biomedical Research (2001), and the Medal for Outstanding Contributions to Biomedical Research from Memorial Sloan-Kettering Cancer Center (2000). Ms. Ellen Lubman is a director of GeneCentric Therapeutics and Vice President of External Science and Innovation at Allergan, Inc. Ellen came to Allergan after joining predecessor company, Forest Laboratories, in February 2014 as Vice President, Strategy and Innovation Ellen’s mandate is to bring novel initiatives, products and opportunities to Allergan’s pipeline and increase the company’s access to scientific and structural innovation in defined areas of therapeutic expertise. 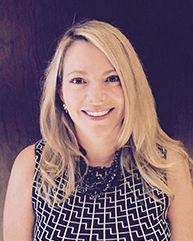 Ellen has 15+ years of experience throughout the biopharmaceutical industry. Ellen started her career as a pharmaceutical representative with Abbott Laboratories then joined investment banking firm, Robertson Stephens, as a Biotechnology equity research analyst during the height of the genomics revolution, focused on early stage drug discovery and development companies. After completing her MBA from Stanford Graduate School of Business with a focus on Global Management, Ellen joined as a founding member of a biotechnology private equity fund, Celtic Pharma. Ellen has worked with venture capital funds, seed-stage, biotech and pharma companies, in business and corporate development, operations and strategy roles, including Amgen, Kadmon Corporation and Bristol-Myers Squibb where she was instrumental in executing on the “String of Pearls” targeted growth strategy. Dr. Perou’s research crosses the disciplines of genomics, cancer biology, bioinformatics, epidemiology, and clinical trials. Among the numerous, transformational advances led by Dr. Perou has been in the characterization of the genomic diversity of breast tumors, which resulted in the discovery of the Basal-like/Triple-Negative Breast Cancer subtype. He and his colleagues demonstrated that breast cancers can be classified into at least five molecular subtypes, with his lab focusing particular attention on the Basal-like subtype. He is also elucidating the genetic causes that give rise to each subtype, modeling these events in Genetically Engineered Mouse Models, and then using these models to investigate tumor biology and the efficacy of new drugs and new drug combinations. 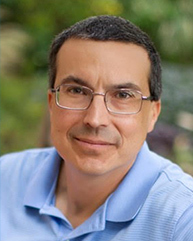 Dr. Perou has authored more than 330 peer reviewed articles, and is an inventor on multiple USA and European patents. He is the Faculty Director of the Lineberger Comprehensive Cancer Center (LCCC) Bioinformatics Group, and Co-Director of the LCCC Breast Cancer Research Program. 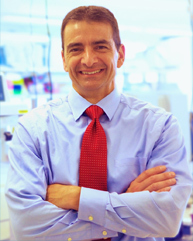 He is a member of the ALLIANCE/CALGB Breast Committee, and Co-Chair of the Triple-Negative Working Group of the Translational Breast Cancer Research Consortium. 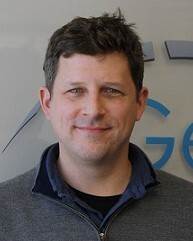 In order to fulfill the vision of bringing genomic assays into the everyday cancer clinic to make improvements in personalized patient care, Dr. Perou co-founded Bioclassifier LLC, in addition to GeneCentric Therapeutics, Inc.
Dr. Perou earned his BA in Biology from Bates College, his PhD in Cell Biology from the University of Utah and completed his postdoctoral work in David Botstein’s laboratory while at Stanford University. 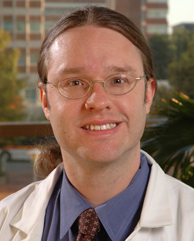 He joined the faculty at UNC in 2000 and has received numerous awards since including the 2009 AACR Outstanding Investigator Award for Breast Cancer Research, the 2011 Danaher Scientific and Medical Award, the 2012 European Institute of Oncology Breast Cancer Therapy Award, the 2013 Hyman L. Battle Distinguished Cancer Research Award from UNC, the 2016 Jill Rose Award for Distinguished Biomedical Research from the Breast Cancer Research Foundation, and the 2016 Brinker Award for Scientific Distinction from the Susan G. Komen. Lastly he has been named a Thomson Reuters Most Highly Cited Researcher in Clinical Medicine for 2014-16. Clay is an entrepreneur turned venture capitalist. Since 1995, Clay has co-founded seven companies in the life science arena and co-founded Hatteras in 2001. Since co-founding Hatteras, Clay has been instrumental in building the firm and has led investments in a range of life science companies, including biopharmaceutical, medical device, diagnostics, and research informatics. Clay was the lead investor and led the strategic transaction process for ArtusLabs that resulted in its sale to PerkinElmer in 2011. He was a co-founder and served as CEO and Chairman of Synthematix, Inc., a chemistry informatics company that was acquired in April 2005 by Symyx Technologies (SMMX). Clay is a co-founder and former Chairman of PhaseBio Pharmaceuticals, Inc. He was the co-founder and head of corporate development for Novalon Pharmaceutical Corporation, where he led financing efforts and was head of business development from inception until Novalon’s sale to Karo Bio for $106.7 million in May of 2000. Prior to Novalon, Clay was the co-founder and president of Xanthon, Inc., a bioinformatics company with electro-chemical detection technology for direct analysis of DNA, RNA and proteins. 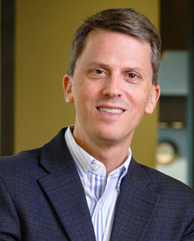 Clay currently serves as Chairman of GeneCentric Therapeutics and Lead Director of Pathfinder Therapeutics. He is also on the boards of PhaseBio Pharmaceuticals, Clearside Biomedical, and G1 Therapeutics. He also serves on the Board of Trustees of the NC Supplemental Retirement System and the NC BioFuels Center. He holds a Masters of Public Policy from Harvard University and a B.A. in mathematics and history from the University of North Carolina at Chapel Hill. Scientific Director, University of Tennessee/West Institute for Cancer Research, and the Van Vleet Endowed Professor in Medical Oncology in the Department of Medicine (Division of Hematology‐Oncology). Dr. Hayes’ research converges interests in multidisciplinary clinical care, clinical trials, translational cancer research, genomics, and model systems of cancer, with a focus on lung and head and neck cancers. In the lab, he uses genetic and genomic techniques to characterize molecular alterations of cancer for the purposes of describing new patterns of clinically relevant disease and translating into includes biomarker discovery and validation. Dr. Hayes currently is in his 10th year as a leader in efforts surrounding the Cancer Genome Atlas (TCGA), the pivotal genomic sequencing project of the decade. His most notable accomplishments in this area include co‐leading the sequencing of RNA for most of the project, and playing a senior role in more than 20 manuscripts reported in Cell, Nature, and the New England Journal. Early work by Dr. Hayes, performed in collaboration with his mentor Dr. Matthew Meyerson on human lung adenocarcinoma expression arrays from the National Cancer Institute revealed three reproducible molecular tumor subtypes of lung adenocarcinoma that are otherwise indistinguishable by routine clinical evaluation. These subtypes possess statistically significant survival differences, independent of disease stage and are comprised of tumors with differing underlying rates of mutations in key lung cancer genes including KRAS and EGFR. Similar findings for four subtypes of squamous cell carcinoma of the lung were also discovered and published. Dr. Hayes most recently served as co‐leader of the University of North Carolina (UNC) Lineberger Clinical Research Program, professor in the Division of Hematology/Oncology and the Department of Otolaryngology/Head and Neck Cancer Surgery, and director of Clinical Bioinformatics at UNC. Dr. Hayes lists more than 120 peer‐reviewed manuscripts in the last decade in the field of cancer research. He received his BS from Davidson College, his MD from the University of North Carolina at Chapel Hill, his MPH from the Harvard School of Public Health and his MS from Tufts New England Medical Center. He completed his residency training in Internal Medicine at the Boston University School of Medicine, and additional fellowships in Hematology/Oncology at Tufts New England Medical Center and the Dana Farber Cancer Institute. Hatteras Venture Partners is a venture capital firm that builds transformational companies in the areas of biopharmaceuticals, medical devices, diagnostics, healthcare IT, and related opportunities in human medicine. We typically invest in companies built on cutting-edge science from leading academic institutions. The firm has invested in companies across the United States in most of the major hotspots for health innovation. Given our headquarters location in RTP, NC, Hatteras plays a leadership role in building companies in North Carolina and the Southeastern United States, where technology is plentiful but resident venture capital is limited. LabCorp provides leading-edge medical laboratory tests and services through a national network of primary clinical laboratories and specialty testing laboratories.With scientific expertise in esoteric testing, genomics, and clinical and anatomic pathology, LabCorp processes tests on approximately 500,000 specimens each day, applying advances in medicine and science to laboratory testing.LabCorp operates a sophisticated laboratory network, with corporate headquarters in Burlington, NC, and more than 50,000 employees worldwide. Our 220,000 clients include physician offices, hospitals, managed care organizations, and biotechnology and pharmaceutical companies. Laboratory Corporation of America Holdings is listed on the New York Stock Exchange (NYSE) under ticker symbol LH.